Desygner - Create your own stunning designs, it's free! Desygner – Create your own stunning designs, it’s free! Ever been stuck trying to create a nice graphic to post on social media, a flyer, or a simple invitation for an event? Well, imagine a world where anyone can design something beautiful without using complicated tools like Photoshop or Illustrator. Design anything using https://www.desygner.com. It’s free and easy-to-use. There are no skills required. Different from other online design tools, we offer lots and lots of free content, including thousands of ready-to-go templates, and allow you to create and edit designs from a computer, tablet or phone. Simply drag & drop images, edit text and customize with stickers & backgrounds. Customize your designs with thousands of free-to-use stickers, backgrounds and fonts. Search the web for royalty-free images or add your own from your camera roll, Facebook, Instagram and more. Invite people to edit and add more to your designs. Download a print-ready file of your design at anytime. Print at home or at printing house near you. Share your designs on social media, embed it to any website, send via email or through a private link. 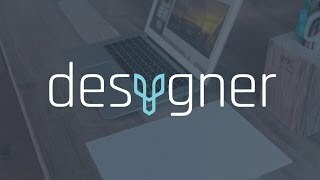 Desygner is the only online design tool that allows you to edit your designs from a computer, tablet or phone. http://www.jfl-media.com/en/wp-content/uploads/2018/06/YQRjBv.jpg 180 320 Barbara C http://www.jfl-media.com/en/wp-content/uploads/2018/12/training-adobe-corporate-media.png Barbara C2018-06-11 05:01:332018-06-11 05:01:33Desygner - Create your own stunning designs, it's free! The guy are dead????? What page drawing are using the girl????? The girl continues with the page drawing???????????????? ?